Global refugee numbers are at their highest levels since the end of World War II, but the system in place to deal with them, based upon a humanitarian list of imagined 'basic needs,' has changed little. 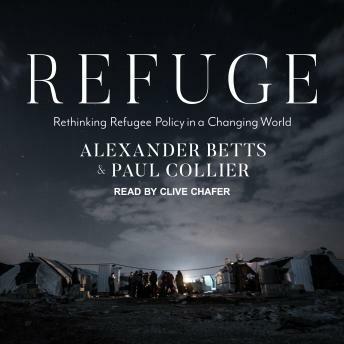 In Refuge, Paul Collier and Alexander Betts argue that the system fails to provide a comprehensive solution to the fundamental problem, which is how to reintegrate displaced people into society. Western countries deliver food, clothing, and shelter to refugee camps, but these sites, usually located in remote border locations, can make things worse. The numbers are stark: the average length of stay in a refugee camp worldwide is seventeen years. Into this situation comes the Syria crisis, which has dislocated countless families, bringing them to face an impossible choice: huddle in dangerous urban desolation, rot in dilapidated camps, or flee across the Mediterranean to increasingly unwelcoming governments. Refuge seeks to restore moral purpose and clarity to refugee policy. Rather than assuming indefinite dependency, Collier-author of The Bottom Billion-and his Oxford colleague Betts propose a humanitarian approach integrated with a new economic agenda that begins with jobs, restores autonomy, and rebuilds people's ability to help themselves and their societies.